I was born, raised and currently live in the South West of England with my wife and 2 young boys. I have a strong interest in anything IT related and have done so from a young age. Away from IT I enjoy following football, playing skittles in a local league team and of course spending as much time as I can with the family. 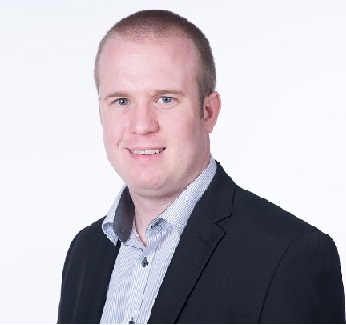 I am an experienced IT Delivery lead, Software Development Manager, Software Engineer, certified PRINCE2 Practitioner and graduate from the University of Exeter, The One Planet MBA. Responsible for a number of critical systems supporting circa £100 million of annualised revenue. Leading a team of 7 Software Engineers to provide 24/7 support of the system and delivery of multiple strategic projects to support the business in growing revenue and reducing operational costs. Projects are delivered using Agile Methodology and utilising the SAFE framework. Additional responsibilities on top of the previous role by supporting and developing the project management team. Main objectives were to align the IT delivery team and project management team together to increase efficiency in delivery of the IT Strategy for the business. Part of the Senior management team leading the Eclipse brand, a £50 million revenue generating arm of KCOM Group PLC. Responsibilities were to lead the overall IT strategy by overhauling existing systems and ensuing business agility was not constrained by it's IT systems. Part of a 15 strong development team Supporting and developing the systems supporting the brand "Eclipse". Either working individually or part of a wider project team, I was involved of all aspects of the delivery lifecycle from Requirements gathering, design, development, testing, deployment and support. APC Services was the trading name of my self-employed business where I provided freelance development, web hosting and domain registration services to the SME sector. At its peak it managed over 100 websites on its servers based in London. Recent progression in my full time employment led to the sale of the client base in 2010 and it ceased trading in April 2010. With years of IT and business experience, I am sure I can assist in helping your businesses grow, work more efficiently and reduce costs through IT. Is your current IT systems holding your business back? Do you have a have a business challenge and are not sure if IT can help? Then get in touch! By firstly understanding the way your business works and its vision I will be able to advise on the right solution to help your business grow. With personal experience in PHP, HTML, CSS, ColdFusion and XML, whether its a small personal site (like this one) or complex applications, I can provide a range of support and development services myself or put you in contact with my wide network of freelance developers. Whether its upgrading your IT systems, moving to the cloud, improving your connectivity solutions or just general system maintenance. With years of experience in IT support and working within the connectivity, communication and cloud industry I am sure I can find the right solution for you. Feel free to get in touch using the form below or contacting me on Facebook, Twitter or LinkeIn. . Your message was sent, sit back, relax and I'll be in touch soon!